Welcome to the Consular Section of the Embassy of Angola in the UK. The Consular Section’s mission is to provide consular assistance to Angolan citizens residing in the United Kingdom and the Republic of Ireland and has the authority to grant entry visas to Angola on behalf of British citizens and nationals of other countries residing in the United Kingdom of Great Britain and Northern Ireland Republic of Ireland. 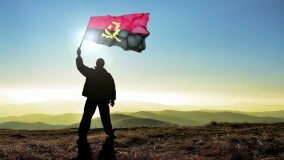 The Civil Register and Registration Department of the Consular Section provides assistance to Angolan citizens in the process of issuing passports, civil registration (birth, marriage, deaths, and others). It also offers notary services to Companies and individuals, such as the recognition and legalisation of documents, always complying with the rules and regulations required. The Consular Section provides a variety of services for Angola citizens and citizens of other countries. There are four units within the Section.